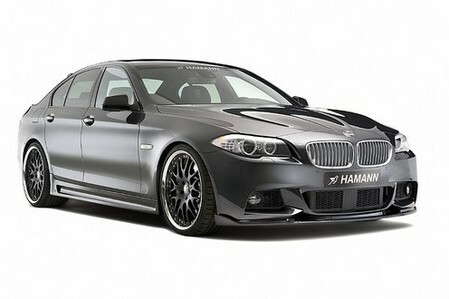 The new Hamann 5 series is based on the M Sport version of the BMW sedan. For this car you can order 20 or 21 inch multispoke wheels in different colors, and suspension adjustment which drops the car down by a few inches making it both look better and more stable through the corners. As for the interior, there’s the usual treatment with aluminum pedals, leather upholstery, Hamann floor mats, carbon trims and a bunch of accessories you can choose from Hamann catalog.